A stunning new variety. 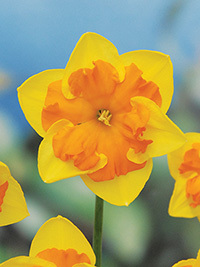 Split-corona daffodil with vibrant yellow petals and frilled bright orange corona segments. The combination of two very vibrant shades is guaranteed to be a show-stopper in the garden.